The Cancer Association of Darke County is proud to announce the launching of its new and improved website. Join now to start donating 3-30% of every purchase to Cancer Association of Darke County while you shop online at places like eBay, Macy's, and Kmart. Cancer Association of Darke County - Where there is help, there is hope. 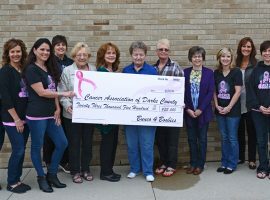 © Cancer Association of Darke Co. A Doss Business Systems Design.